Plaiting the Maypole at Claude O. Markoe Elementary School Cultural Program on March 8. 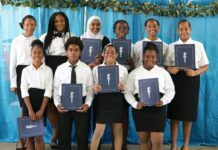 Schools in the St. Croix District are highlighting quelbe and cariso music, among other aspects of local culture during their celebrations of Virgin History Month. A spectrum of colors emblazoned the Claude O. Markoe Elementary School gymnasium on Wednesday, March 8, where excited students filled the bleachers to see classmates dance to quelbe music provided by the legendary Stanley and the Ten Sleepless Knights (TSK). The student-spectators shouted and clapped to show their appreciation to the school’s young dancers who have mastered the steps of the traditional quadrille dance. Claude O. Markoe School Quadrille Dancers and coach shine after a successful performance on March 8. The school’s Maypole dancers also stepped inline to the quelbe beat of TSK as they plaited the ribbon. As a backdrop to the event, culture bearers appeared dressed in traditional headdresses and garments to take students on a journey of their cultural past. The cultural historians also brought with them artifacts, such as coal pots and earthen wares (clay or yabba pots), to complement their presentation. As a grand finale, students and staff flocked to the floor as they sashayed to TSK’s quelbe music filling the auditorium. Cedelle Petersen-Christopher performs a Cariso song at Alexander Henderson Elementary School accompanied by drummers Alyetora Schouten and Olu Massey-El on March 9. 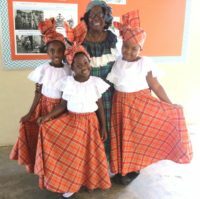 At the Alexander Henderson Elementary School on Thursday, March 9, cariso singer Cedelle Petersen-Christopher resurrected the history of her Crucian ancestors in songs and tales. 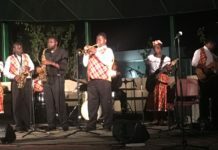 Accompanied by two drummers, Alyetora Schouten and Olu Massey-El, she belted out traditional songs, such as “Sly Mongoose,” “Queen Mary” and “Clear de Road” made popular by the late Crucian cariso singer Leona Watson. During her presentation, Petersen-Christopher highlighted important periods in Virgin Islands’ history. She first pointed out that cariso is the original form of the calypso music that is enjoyed today, especially around carnival and festival celebrations. 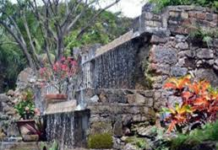 Cariso was adopted by the early Africans on the island to communicate during the slavery era, Petersen-Christopher said. 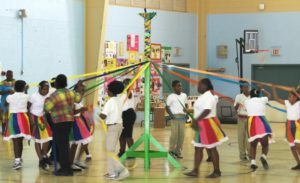 Virgin Islands cultural artifacts on display at Claude O. Markoe School’s Cultural Day. The singer continued her presentation, running through the chronological history of St. Croix and the Virgin Islands in verse, highlighting the July 3rd 1848 Emancipation Declaration, the Oct. 1st 1878 Fire-burn (Labor Union Riot), the organization of the first St. Croix Labor Union on Nov. 1, 1915, by labor leaders David Hamilton Jackson and Ralph Bough, and the transfer of the Danish West Indies to the sovereignty of the United States of America on March 31, 1917. She wrapped up her presentation with a debut of her soon-to-be released “Venus Johannes,” a cariso composition based on the true story of a Senegalese girl who was kidnapped at 12 years-old and forced into servitude on Goree Island before making several voyages to St. Croix with a slave ship captain who had befriended her.